Samsung will unveil its new flagships on February 20, and the brand seems to acknowledge we already know almost everything about these devices, so much as to let you pre-order them now. 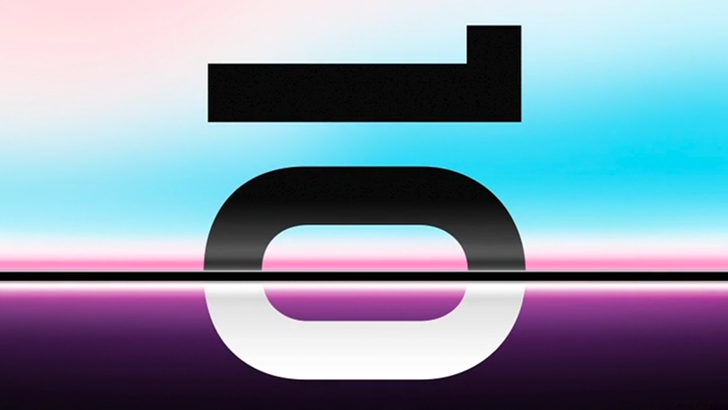 The manufacturer has put up a page to let you reserve the "next Galaxy," on which it explicitly says it "know [s] you know what is coming soon," without sharing any details on the handsets themselves, besides the previously published teaser of a potential folding phone. It is customary for the Korean company to offer savings for people who pre-order its newest handsets and this year is no exception: The reservation process in the US lets you benefit from a $ 50 credit on accessories for your new Galaxy and allows you to trade in your old phone for an additional discount of up to $ 550. 50. The complete list and values ​​are available on the reservation page, but it's disappointing the program is only limited to Samsung, Apple, LG, Google, and Motorola handsets. Depending on your phone's current shape, selling it yourself on another platform could be a better deal and spare you the endless wait to receive your money. Pre-ordering the latest Galaxy device will mean you should get it by March 8, but you'll have to come back to complete your purchase 72 hours after the flagships go on sale. Also, Samsung mentions not all Galaxy versions are eligible for the offer, without specifying what the variants will be, which could mean the folding phone may not ship in March, or simply that the cheapest model will not grant you a discount. If you can not wait to get your hands on a mysterious device, you have until the very last minute of February 20 to prebook yours. I find it interesting Samsung is opening reservations before even announcing what people will get, but it could be a potential way to gauge the public's demand for its new phones.